of allegations of serious sexual offences. Alisdair Smith is a highly experienced advocate in all areas of crime especially serious sexual offences (including multi-complainant cases), murder and serious violence, serious drug offences, money laundering, proceeds of crime and fraud including as leading junior counsel and in multi-defendant cases. He has been involved in many cases involving vulnerable adults and children both prosecuting and defending. He has extensive experience relating to obtaining and considering third party disclosure and issues relating to public interest immunity both in sexual offences and other serious crime. Alisdair’s work has included defending in large scale drug dealing/importation and fraud both as leading junior and junior counsel. He has appeared regularly for the prosecution against leading counsel. Alisdair regularly advises on charging decisions in allegations of serious sexual offending. He also conducts local authority prosecutions in regulatory fields and as well as appellate proceedings. Alisdair has conducted fraud cases both for the prosecution and defence. 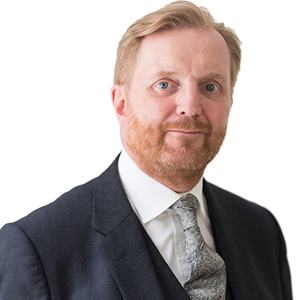 Alisdair has represented the Prosecution and Defence in significant confiscation cases, including for outside authorities including the Department for Business Innovation and Skills and local authorities. He is experienced in dealing with confiscation proceedings out of regulatory prosecutions. R v. ZD – Threats by young man to psychiatrists that he was going to carry out a massacre of school children. Significant history of planning and issues as to whether the psychiatrists “consented” to the threats being made. R v. L & Ors – Complex multi-defendant historic family sexual abuse case (as leading junior for the defence). R v. M – Defence counsel in fraud arising from breach of pesticide regulations. R v. MT – First prosecution of domestic trafficking for exploitation. R v. O’N – Prosecution of mother for attempting to poison infant children. R v. A & Ors – Junior prosecution counsel in five defendant murder.